I love to eat cookies but they can be such a pain in the patootie to make. I mean there is all that waiting between cooking and switching cookie sheets and scooping and it just seems to go on forever. Well... d'uh. Of course. I mean. COOKIES. 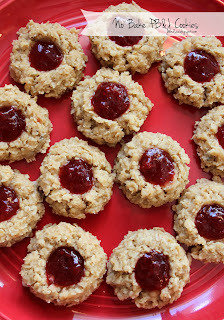 But with these no bake cookies you can have all the deliciousness of cookies without the stupid waiting to cook time. Boil it, stir it, scoop it, fill it. Done. AND they look pretty. Not like lumps of yuck like some no bake cookies. 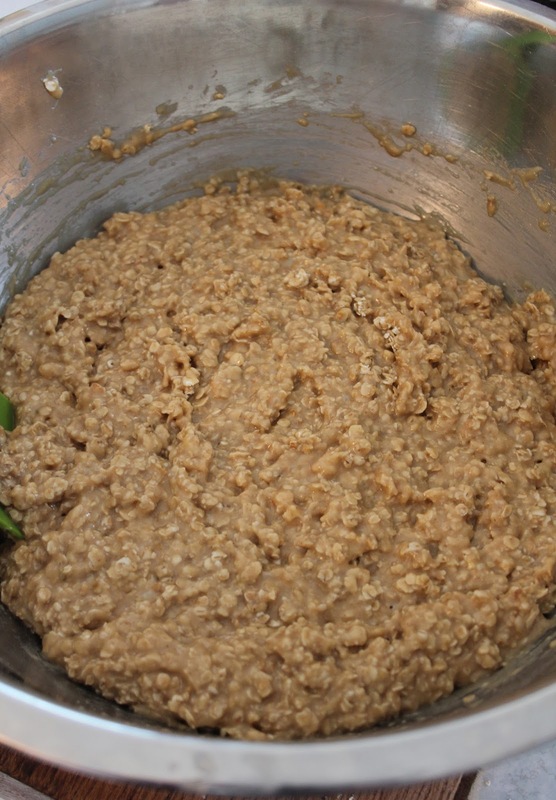 In a large saucepan, place sugar, milk, and butter. Cook and stir over medium heat until mixture comes to a full rolling boil that can't be stirred down. Boil for one minute. 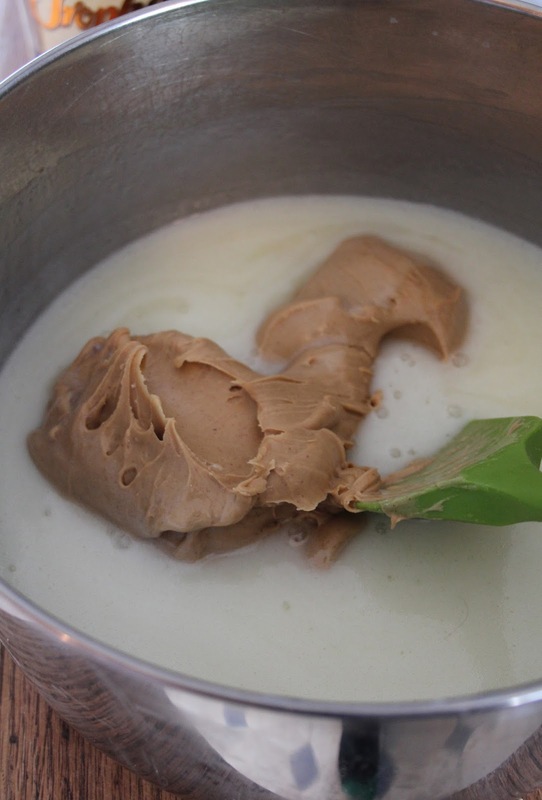 Remove from heat and add in vanilla and peanut butter. Using a medium cookie scoop (or large spoon), scoop cookie dough onto prepared cookie sheet (they can be fairly close together as they won't spread at all). 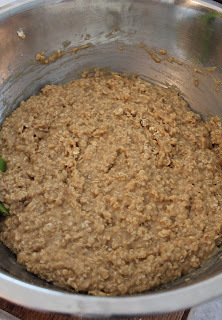 When all the dough has been scooped - use a the back of a teaspoon or something small and round (like the tip of your baby finger), and press an indent into each mound. **NOTE** - you will need to scoop and indent the cookies before the cookie dough cools off so will need to work fairly quickly. Let set for about 10 - 15 minutes. 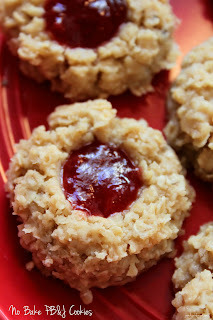 Fill each indent with 1/4 to 1/2 tsp of jam. Let cool completely. 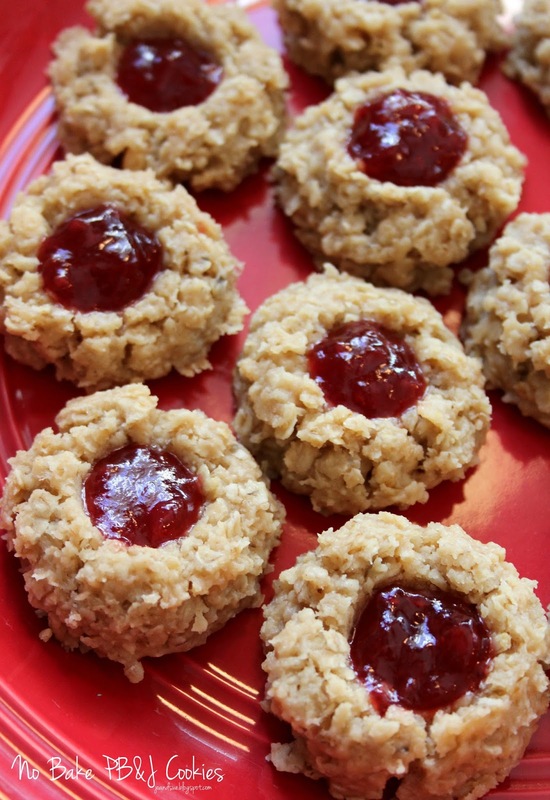 Cookies can be placed in fridge to chill for 15 - 20 minutes to speed this up. I believe I got 5 dozen or so cookies out of one batch using a medium cookie scoop. 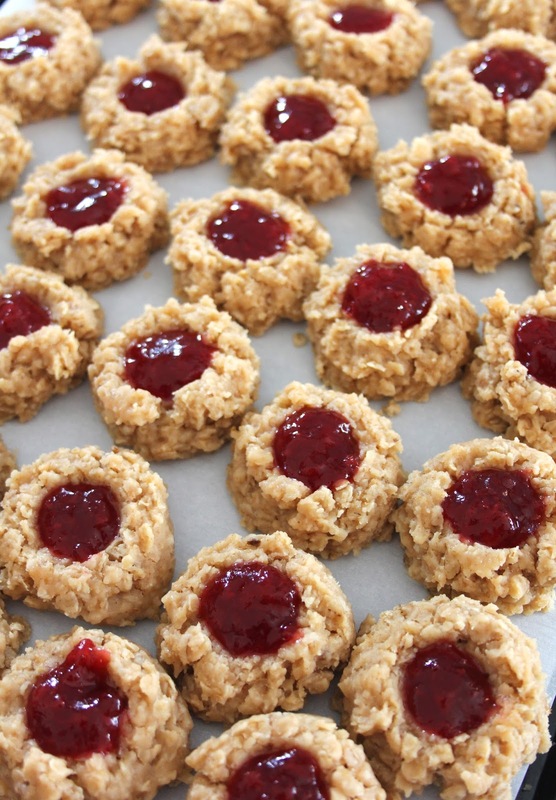 You can store the cookies in a covered container for several days. If you decide to store them in the fridge just remember to let them come back to room temp before serving or they will be crumbly. I found at room temp was just fine. 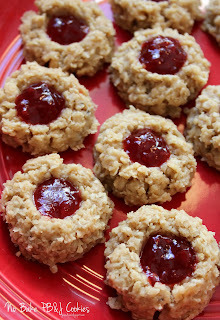 Ohhhhh . . .i am so going to make these. 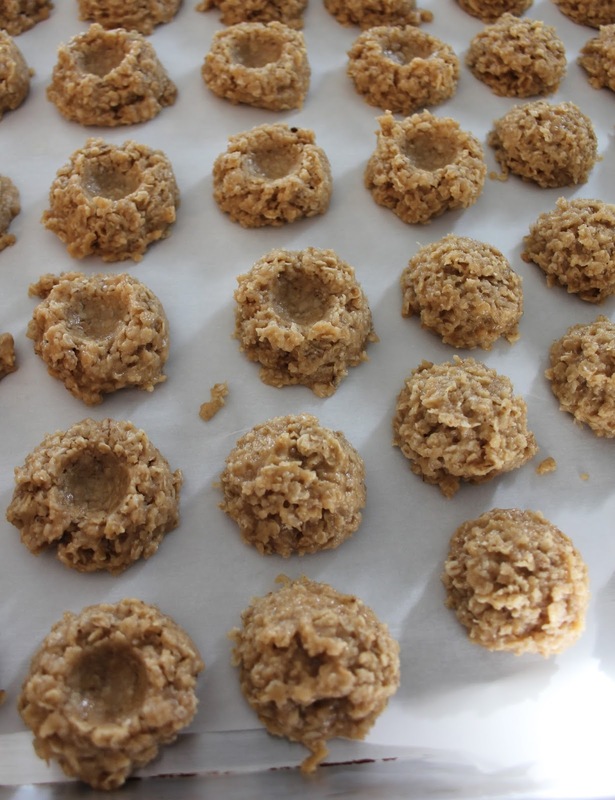 It's everything I love: Peanut Butter, Oatmeal and NO BAKE COOKIES!!!! I haven't ever tried freezing them so I am not sure. I would be worried that they might become crumbly if they were frozen. Please let us know if you do try it! :) Sorry I can't be more helpful. What other ingredient can I use instead of sugar?